Pressure-assisted toilets have come a long way over the years, with improvements in efficiency and noise reduction. Unlike standard gravity-fed toilets that depend on the force of gravity to flush when water is released from the tank, a pressure-assisted toilet uses compressed air to significantly bolster the flushing power. The result is that you get a powerful flush with less water—about 1.1 to 1.4 gallons per flush (gpf)—compared to 1.6 gpf on a standard new toilet or 5 to 6 gpf on many old toilets. The pressure-assisted design creates a strong flow of water that cleans the bowl better, removes waste better, and flushes more completely than a typical gravity-fed system. 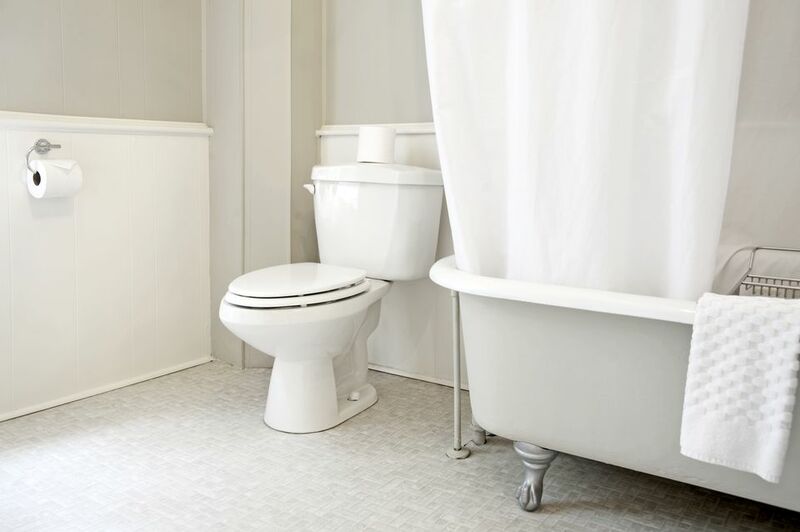 According to some estimates, pressure-assisted toilets can flush 50 percent farther than gravity toilets, resulting in cleaner waste pipes and less chance of clogs down the road. Another main benefit of pressure-assisted toilets is water savings. While the savings compared to a modern 1.6-gpf of a water-saving dual-flush toilet may be small or even negligible, the reduction in water use over an old 5- or 6-gpf toilet is significant, adding up to thousands of gallons saved each year for many households. And again, pressure-assisted toilets save water AND offer a better flush. People who live in hot, humid climates might like to know that pressure-assisted toilets don't sweat. Because the water is contained in a plastic tank—and not right up against the wall of the porcelain tank, as in standard toilets—there's no condensation on the front side of the tank. The primary downside to pressure-assisted toilets can be summed up with two words: loud flush. There really isn't an effective way to silence a blast of pressurized air and water ejecting from a tank that's contained in a porcelain vessel (that is, your toilet). The best way to deal with this is to close the lid of the toilet bowl before flushing. Another drawback to pressure-assisted toilets is their relatively complex design. They have more parts and internal functions than gravity toilets, and that means more potential problems. Toilets can be fussy, and pressure-assisted models are no exception. And when things do go awry, it's generally not as easy to find parts for pressure-assisted systems, or as easy to make repairs. To be fair, it's hard to compete with standard gravity toilets in this regard, as most repairs with these involve nothing more than replacing a part that costs less than $10.